Notice is hereby given of the 42nd Annual General Meeting of Knighton Heath Golf Club Ltd, which will be held on Thursday 18th October 2018 at 19:30 in the Club House. For more information and to download the associated documentation, please log-in to the members area of the website. Your 2018 AGM Report & Accounts is available for collection at the bar. Please note that you will be required to produce your bar card for recording purposes only. Other Directors - Jim Airth, Andy Groom, Chris Knight, Alan Penny and Trevor Townsend. Members unable to attend: Any registered member who is unable to attend the meeting, may submit a pro-form proxy or postal or an electronic voting form (members area of the website), duly completed, to the General Manager by close of business, Wednesday 17 October 2018. Voting forms are available in the lobby area of the clubhouse or can also be downloaded from the members area of the website in the AGM nominations section. by post, addressed to the General Manager and marked "voting form"
by placing your voting form in the ballot box positioned in the lobby. by electronic mail, the voting form link can be found in the members area of the website in the AGM Nominations section. Only those who are currently playing members over the age of 18 years or are Life members will be entitled to vote. Open to all members and their guests. Treat your family to a Christmas Lunch at the club. Sunday 16 & 23 December 2018. Bookings essential, please contact the bar or Sandra in the club office. Limited spaces available, book NOW. 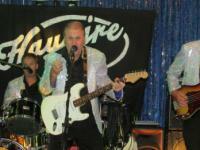 BOOKINGS NOW OPEN for the Christmas Dinner Dance with the popular Steve Pert multi-tribute show. £32pp - Entertainment , 3 course meal, coffee & mints and novelties. 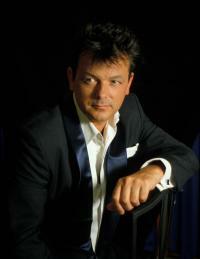 Click HERE for more information and click on the photograph to listen to his music. Click HERE to view the clubhouse winter times as from Monday 29 October 2018.